Illustration of a pump station. Ready for a plug-and-play pump station? Cleanawater pumping stations will help you transfer water cost-effectively when gravity is not an option. Flexible enough to meet any site's requirements, they're ideal for domestic, commercial, industrial and mining settings. Our pump stations are engineered for efficient performance. Whether you require a unit with a single or dual pump, we can supply it. 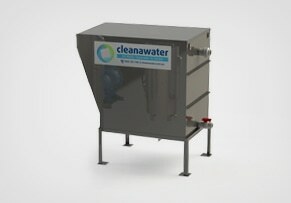 Cleanawater units come pre-plumbed, saving on installation time. We have pump stations in stock, ready for collection or delivery to your site. They are ideal for a wide range of industries. And we can conduct service and maintenance to suit, ensuring your pump station delivers optimal performance for decades to come. Installation of a pump station underground. Illustration of a sewer pump station. 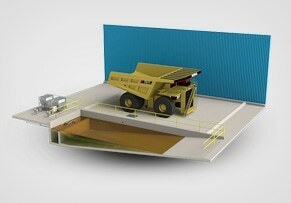 Illustration of a stormwater pump station. Cleanawater sewerage pumping stations (sometimes referred to as sewage pump stations) are customisable to suit your exact requirements. From compact under-sink units for restaurants to 30,000L industrial systems. Constructed from durable, high-quality polyethylene or fibreglass, they're ideal for domestic, commercial, industrial and mining settings. Delivered pre-plumbed, Cleanawater stormwater pump stations make installation easy. Our plug-and-play solutions save time and money on installation – no need to spend time wiring or plumbing on-site. 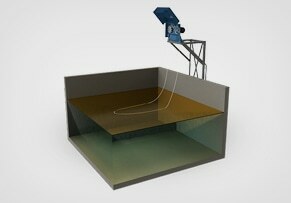 Cleanawater pits are ideal for effectively removing surface water. And for collecting waste water. 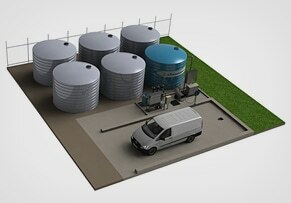 Even providing water storage capacity where above ground space is limited. 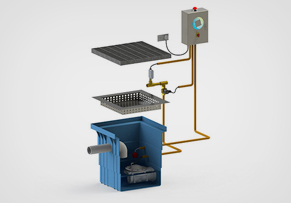 All pits are available with a range of covers and grates. What are your pumping station chambers made from? 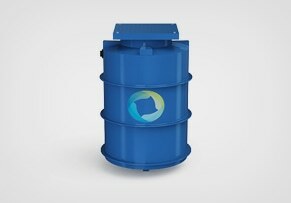 Pump chambers are constructed from polyethylene or fibreglass. What is your smallest packaged pumping station? Our smallest packaged pumping stations are 100L in capacity. Restaurant under-sink pumping stations start from 40L. Do your packages include alarms and control panels? All packaged pumping stations over 250L capacity come with control panels and alarms as standard. Smaller units come with optional alarm panels. Do your packaged pumping stations require single phase or three-phase power? Single phase is standard. Larger flow rates may require three-phase power. Are remote monitoring systems available for regional areas? Yes. 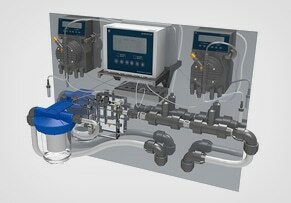 Cleanawater provides a range of remote monitoring options. The area where I am installing is trafficable, is this ok? Yes. A selection of light, heavy and extra heavy duty access covers and gratings are available. What is your largest packaged pumping station? 30,000L capacity is the largest. Larger chamber capacities are available upon request.